Let’s face it, Americans love celebrity. Just look at all the magazines devoted to the latest news on “who married (or lately, who divorced) who.” I suppose over the years that really hasn’t changed much. The prevalence and accessibility of various social media outlets certainly makes it easier to follow our favorite, and not so favorite, celebs. But, did you know that we had our very own Hollywood celebrity who called Smithfield, North Carolina home? Yep. Ava Gardner, one of the most famous actresses for the better part of the mid-1900’s, was from a very small community just outside of Smithfield – Grabtown. Born Christmas Eve in 1922, Ava lived most of her young life in the Smithfield area. In her teenage years she and her mother would go to the movies at the Historic Howell Theater to catch glimpses of their favorite leading man at the time, Clark Gable, who later would play opposite Ava in the film, “Mogambo” where she also received her first and only Oscar nomination for Best Actress. You gotta admit, that’s pretty awesome – to have watched your idol and then played alongside him! How do I know all this? Well, I could read endless articles about her online, but why do that when a museum devoted to her is just 30 minutes from downtown Raleigh – the Ava Gardner Museum – and it’s one of THE most complete museums in honor of a Hollywood Legend in America today. For just an $8.00 admission price ($7 for seniors, military and teens, $6 for a child), you can take a step back in time to an era that has long since gone, but one that is not forgotten. Your tour begins with a 20-minute biography on Ava (an interesting one at that!) and then take about another 45-minutes to an hour touring the various exhibits throughout the museum. There are costumes from some of her most famous roles, personal jewelry, letters written by some of her friends (Princess Grace Kelly was one of her BFFs! 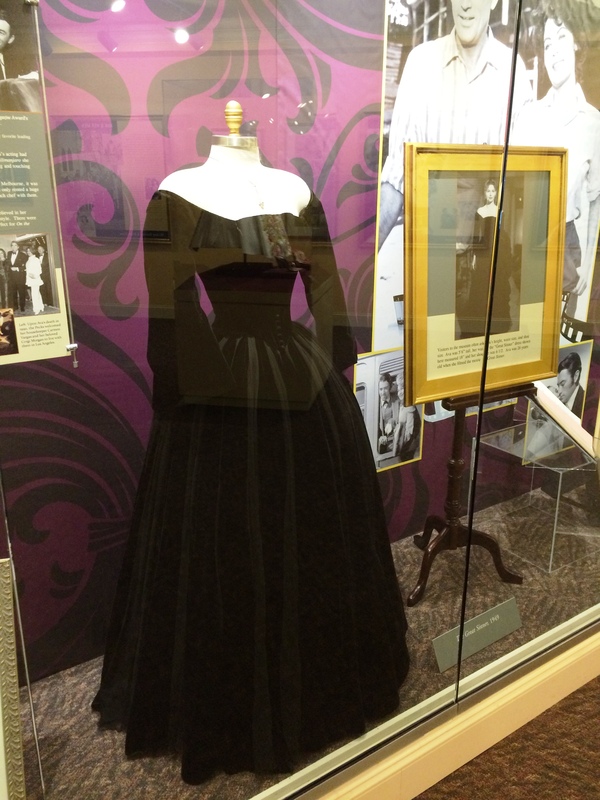 ), even her lingerie is on display right now in a special exhibit called “Ava’s Closet”. After touring the museum, you can take a short drive down to her grave site to pay your respects, if you so chose. Museum Docents will give you directions. I had the privilege of working as a Docent for a short time from 2010-2011 while I was still looking for full-time work. I loved it! Every day I was on the schedule, I would walk in; turn on all the lights and the stereo. 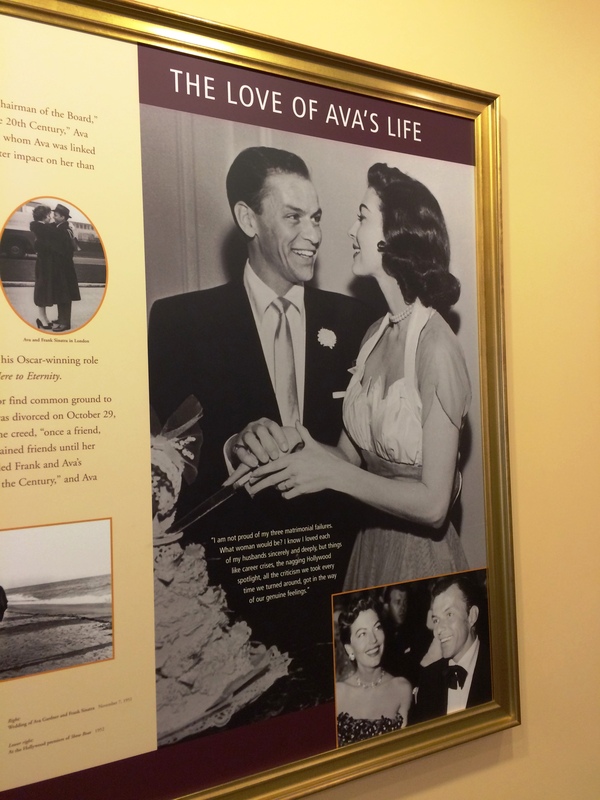 The music of Frank Sinatra was played all day long (He was the love of her life. Didn’t know that? Go visit the museum!). And every day I was there I would smile. In fact, you could’ve caught me singing along to Frank too…if you had visited. 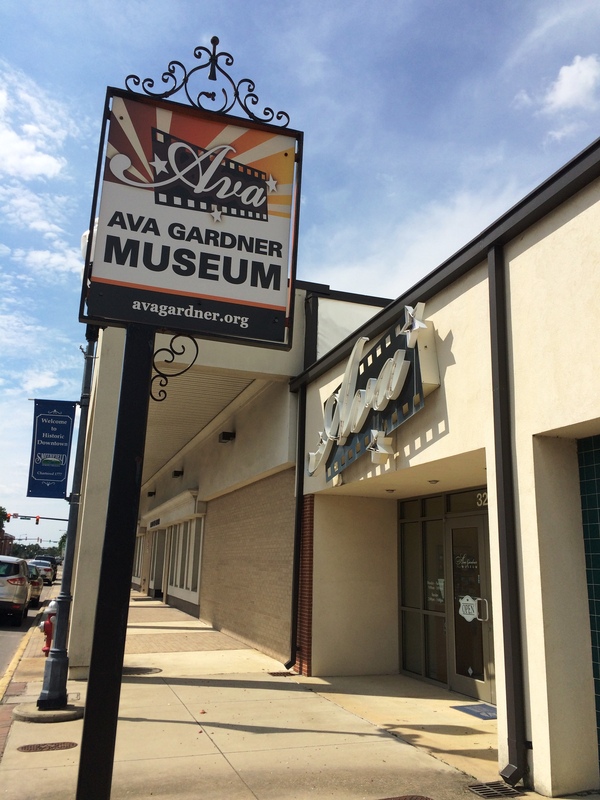 The Ava Gardner Museum is located at 325 E. Market Street in Smithfield and is open Monday through Saturday from 9am-5pm, Sundays 2pm-5pm (closed for some holidays – check their schedule). 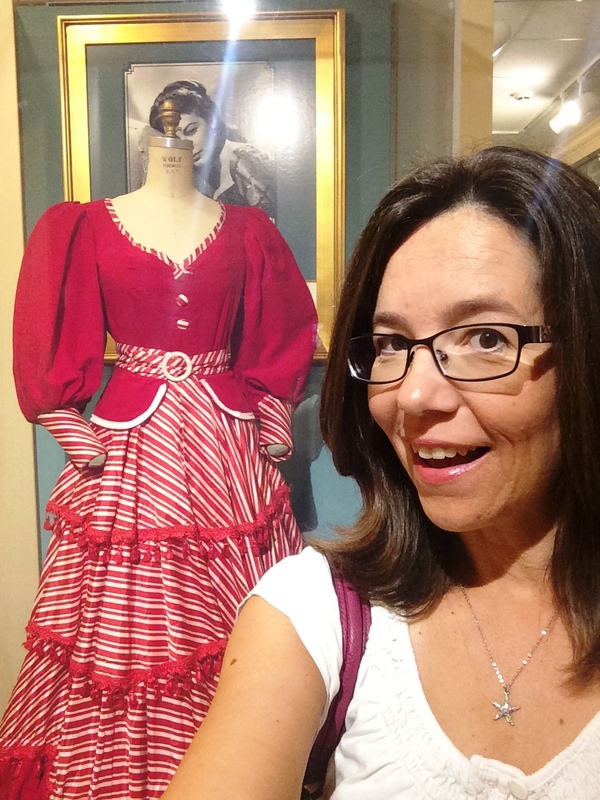 I encourage you to visit one of North Carolina’s most fascinating museums. I promise, you too, will walk away with a smile on your face and quite possibly a jig in your step! Connect with Lisa Sullivan to see where her next ventures lead.